All new projects will appear here – check back soon for anything new out of the shops. Two more jobs to come out of The Works, both for the same client, are in 0-16.5/7mm scale narrow gauge. Firstly we have a Springside Models “Fowey” loco body kit, comprised of whitemetal castings, riding on a Dapol L&Y Pug chassis, of which has been given additional detailing. Due to it’s freelance design, it’s not one of the easiest of kits to work on, yet hopefully it captures the feel of a small Bagnall tank, or similar. And the other completed model is a Glyn Valley Tramway third class four wheeler, built from a Wrightlines kit, comprised mainly of whitemetal castings, along with etched sides, and I decided to fabricate the roof from brass sheet, as opposed to the suggested plasticard. Both were painted using assorted enamels, and have been weathered using a basic selection of enamels, also. Back in May, some big changes occurred for The Works, as I moved into a purpose built workshop, situated within the new HQ of my friends from Narrow Planet. This move means the turn around of jobs should become that much quicker and efficient. Also of great benefit, the opportunity has been taken to invest in a variety of new tools and equipment, of which means I’ll be capable of undertaking certain tasks I was unable to do so within the confines of the previous work facilities. A Parkside Dundas (or should I now say “Dundas Models”) 4mm scale narrow gauge kit of the Welshpool & Llanfair Light Railways Hunslet 2-6-2 Tank Loco No.14, formerly of the Sierra Leone railways. A bog standard whitemetal kit of good quality, riding on a Minitrix chassis, to which I’ve added a great amount of extra detail and refinements to the body, such as pipework, brass smokebox door handle, hand/grab rails, as well as fabricating a brass roof to replace the rather heavy cast one supplied. A recent re-release in 009/4mm scale narrow gauge has been the set of Talyllyn coaching stock, by Meridian Models, comprising the Brown Marshall No.3, Lancaster No.4, and the Guards Brake & Luggage Van No.5, all of which are available through Narrow Planet. Here at The Works I was asked to assemble samples of all three kits in readiness for the NP stand at the NG South exhibition, Eastleigh. The Lancaster was a fairly straight-forward affair, whilst the Marshall Brown and Brake Van were somewhat more complex, as will be seen from the photos here. Further details of the kits are available via the Narrow Planet website. And, should anyone be interested in having any of the vehicles built for them by my good self, do feel free to contact me via this here website. I don’t normally keep a written record of how many hours I work on each individual model, as you tend to do little bits here and there in-between other tasks, but for this I reckon it must be the best part of 40 hours. It’s been built once again from a Narrow Planet kit, the same as that of which I did last year, and for the very same client. A 4mm scale/009 model of the Kerr Stuart built Corris Railway No.4, assembled from a Meridian Models brass/whitemetal kit, riding on an N Drive chassis. It’s finished in it’s Talylln guise as “Edward Thomas”, and weathered to appear in it’s early preservation days condition. Built from a Wrightlines kit of the Glyn Valley example, it has been modified so as to have the open ended verendah, along with open doors on each side, and fitted out with interior detail. A 4mm scale/009 model of the Kerr Stuart built Corris Railway No.4, assembled here at The Works from a Meridian Models kit, sitting on an N Drive chassis. Following the release by Bachmann USA of the model of “Skarloey”, for their 4mm scale Thomas the Tank Engine range, those nice chaps at Narrow Planet released a conversion kit to alter the loco into a more to-scale representation of the Talyllyn Railway Fletcher Jennings prototype. Part of this includes replacement cylinders and motion/valve gear, of which I have been commissioned on several occasions during the past year to assemble for customers. A recent loco outshopped from The Works for a client, was a Manning Wardle “Midget”, in 009/4mm scale narrow gauge. Built from a Narrow Planet kit (see links page), it comprised of a 3D printed body, with etched nickel overlays, riding on a donor RTR chassis from the Minitrains range. Finished off in enamels, and fitted with loco crew from the Dart Castings/Monty’s range. Every railway modeller must of had a table-top layout as a child. Well, I was recently approached by a local retired couple to build just that for their five year old grandson, to allow him to run his Thomas the Tank Engine on. It comprises a single track, yet is in the guise of an inverted/looped figure of eight, a passing loop, and two sidings, of which allows for that bit extra running line than what your basic oval would give you, along with additional operating potential. Measuring 6’x3’6″, it has a softwood frame work with sundeala surface for the baseboard, Peco trackwork, and a Gaugemaster combi controller to make it all work. Destined for a client’s 7mm narrow gauge chalk pit layout. Copperclad built with code 82 fb rail. Roy Link/KBscale templates. All finished, Whitesands Quay was ready to be handed over to the client at Expong 2015. Whitesands Quay set up on its supporting subframe. 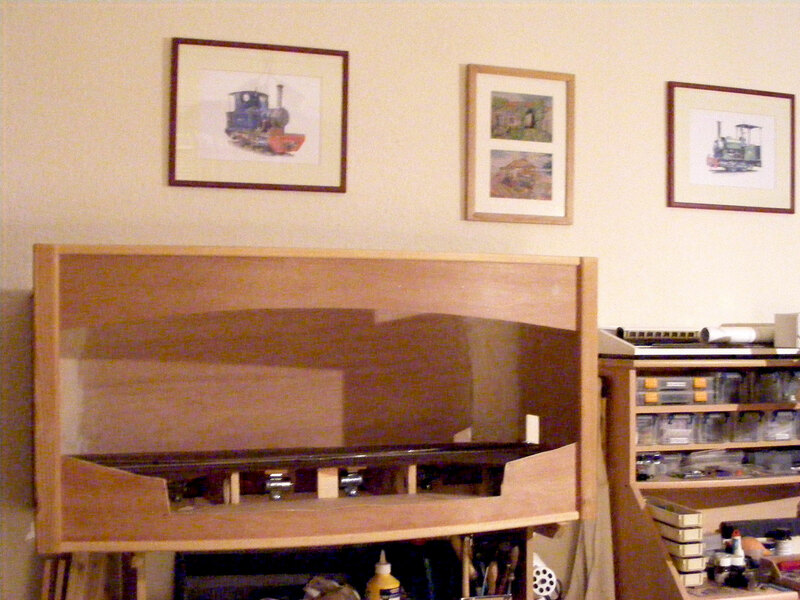 Whitesands Quay set up in the living room to give an impression of how one of my dioramas can fit within the home. Due to my own personal interest in the modelling of narrow gauge railways, I appear to be attracting customers with similar tastes, particularly 009 modellers wanting compact diorama style layouts. The following was recently out-shopped for a client whom wanted a layout built up to a stage where he would be able to commence with the scenic work. Baseboard is my usual combination of MDF/ply/softwood, finished off with moulded trim, and trackwork from PECO, with wire-in-tube turnout operation. A GWR footbridge from a Hornby (now Gaugemaster) 4mm scale plastic kit. GWR footbridge from a Hornby (now Gaugemaster) 4mm scale plastic kit. Mulberry Modelling Works was commissioned to design, construct and assemble the baseboards & track work for a 009 diorama style layout. Measuring some 3’6″ x 2′, the main specifications given were that it had to be light in weight, compact and, most importantly, presentable. The boards were made using a combination of MDF for the tops, softwood/pine for the framework/legs, and 3.6mm ply for the fascia, backscene, and pelmet. A compact diorama, built to Gn15 narrow gauge standards, based on a potato farming railway. 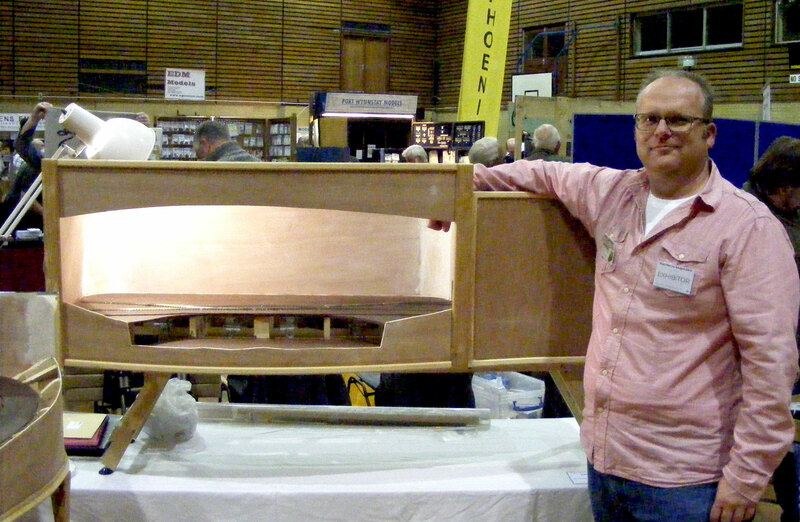 At 30″ x 20″, it was built to be as light as possible, as had to be posted to the customers home overseas. Track-work by Peco, with manual operation of turnouts via working surface mounted rodding. Buildings built from scratch, and made removable to allow access to hidden loop.